Did Google Say Panda Is Running In Real-Time, Instantly? Home > Google News > Google SEO > Google Panda Running Instantly & In Real-Time? 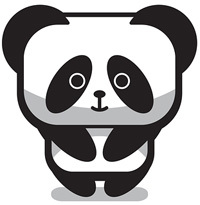 Google Panda Running Instantly & In Real-Time? Last night at SMX West during the Meet The Search Engines panel, Google's Gary Illyes was supposedly quoted as saying that Panda, the Google algorithm, is constantly running, instantly. But what does processed mean? After they are crawled by Google? We do know that Panda is a rolling update now but it has been over four months since a Panda update, at least based on my records. By update I mean, Panda sites seeing any ranking benefit or decline in over four months. So it is possible that Panda is no longer a rolling update, no longer running instantly or so. Truth is, I am confused by the quote, I was not there, I am not sure if this is what Gary meant exactly or if it was misinterpreted. I am trying to get more details for a bigger story, probably at Search Engine Land.